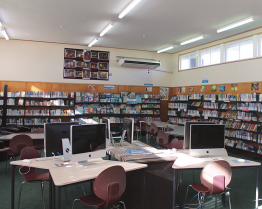 Our library is a well-resourced and vibrant space used extensively by both students and staff. As well as a teaching and class research area, our library is a busy & bustling space at break times with students utilising the suite of computers & selection of board games. 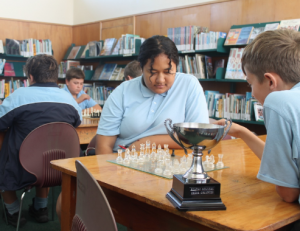 Chess is particularly popular, with the library hosting the annual tournament. We have a team of enthusiastic Student Librarians who are key in organising & implementing new library initiatives and events as well as providing book recommendations. Students are encouraged to suggest titles they would like to see in the library collection. 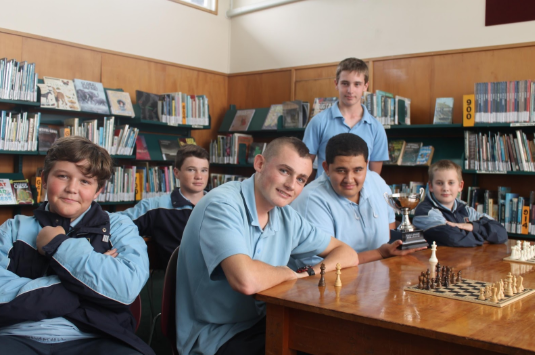 Due to our relationship with Kaipara District libraries, we are also able to access their books and scholarship resources as an extra service to our students. Open to staff and students between 8.45am – 3.00pm daily, including Break 1 & Break 2.